Speedway roars back into life at the Perth Motorplex on Saturday, October 27 for the first round of the WA-based sprintcar series. 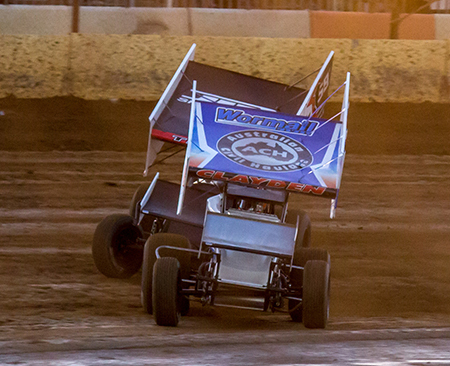 The first meeting of the season marks the start of another big summer of sprintcar racing in WA - and will be part of the first Power Palooza event at the Kwinana Beach venue. The series has some big announcements that will be made in the very near future - but in the meantime, it’s time to start planning to ensure you are trackside. Round two of the series will be held on Saturday, November 3, followed by two more rounds at the ‘Plex on November 17 and 24. Teams will then make their way south to Bunbury for the first time on Saturday, December 1, before returning to Perth the following weekend, for the December 8 show. The traditional Boxing Day Bonanza at the Motorplex on December 26 is part of the USA v WA Sprintcar Speedweek as is the rounds in Collie on December 27, Perth on December 29 and Northam on January 1. Further January action will be held in Perth on January 12 and Bunbury on January 19. After the February 9 show in Perth we head to Albany on February 16 for a combined event with World Series Sprintcars - and this will be backed up with the WSS finale on February 22-23, back in Perth. The final round of the series is at Bunbury on the first night of the Krikke Boys Shootout on March 2 - before the Triple Crown kicks off at Bunbury on March 3, followed by rounds at Perth on March 30 and April 13.